Classical horizontal eye makeup technique is a real godsend for those who want to correct their eye shape. As its name implies, eye shadows are applied and shaded horizontally. Primarily, this is suitable for round eyes and for usual eye shape. The horizontal technique is not recommended for narrow eyes because in this case the result will not be too successful. Let's consider the principle of classical horizontal eye makeup. 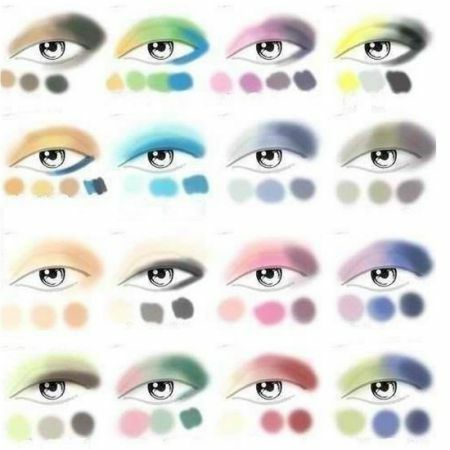 Eye shadows are applied in the following way: apply a medium shade to your eyelid, a dark shade should go on the outer corner of the eyes, and the lightest shade is applied under the eyebrow. Speaking of the eyebrows, you should pay special attention to them because their shape defines a lot. Currently, accurately adjusted eyebrows whose color matches one’s hair color is in fashion. If you want you can use a contour pencil or liquid eyeliner to draw a contour of the eyelash line. 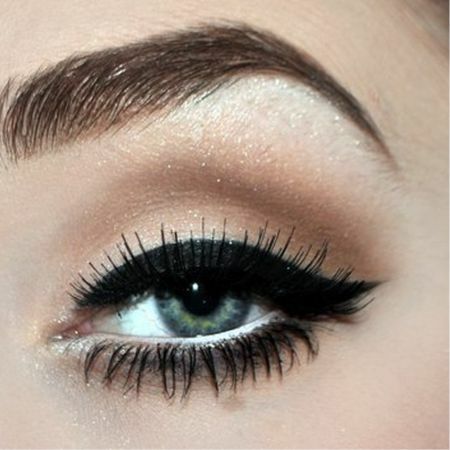 If you use eye shadows, then you should use mascara; otherwise, your makeup style will look incomplete. If you have evening or holiday makeup, you can apply mascara in several coats. Black mascara is considered to be a classic. But sometimes mascara of other colors looks very interesting and appropriate. If the makeup is done correctly, the eyes will appear bigger and longer. The look becomes more expressive and deep, attracting much attention. In general, practice as often as possible and the result look great. Every girl wants to be beautiful, desirable, attractive, and classical horizontal eye makeup technique is aimed precisely to make you to achieve that look. The classical eye makeup technique will turn an ordinary, unremarkable girl into a real beauty on the cover of a magazine. What is the horizontal technique of eye makeup? Do not be afraid to fail it. Classical horizontal eye makeup technique is fairly easy to learn, so all you need is a little experience. Only in this manner will you be able to understand how important eye makeup is in the creation of an image. Blondes and brunettes, brown-haired and red-haired girls successfully use this look. Join them, get and use new knowledge! After all, the classical horizontal eye makeup technique is always on the crest of success. Like the article «Classical Horizontal Eye Makeup Technique»? Share it with friends!